What a gorgeous cover. Did you know authors don't necessarily get to choose what their book covers will look like? Are you a little appalled by that? Me, too! Anyway, Queenie is a British woman in her mid-twenties navigating a break from her boyfriend. 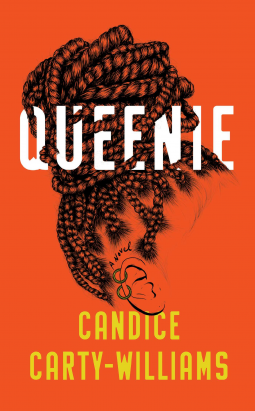 Queenie is being compared to Bridget Jones's Diary, but Queenie is Jamaican-British, and her issues run a little deeper than Bridget's. Both work in news media and struggle to be taken seriously, and both tipple and snog more than is good for them. Queenie's choices get her in more serious trouble than Bridget's, and the consequences are more dire, and more real.